Sony is aiming to redefine the high end of the TV market with its new flagship Master Series. Unveiled in new York, the new line comprises the AF9 OLED screen, and ZF9 LED LCD (to be known as the A9F and Z9F in the US). 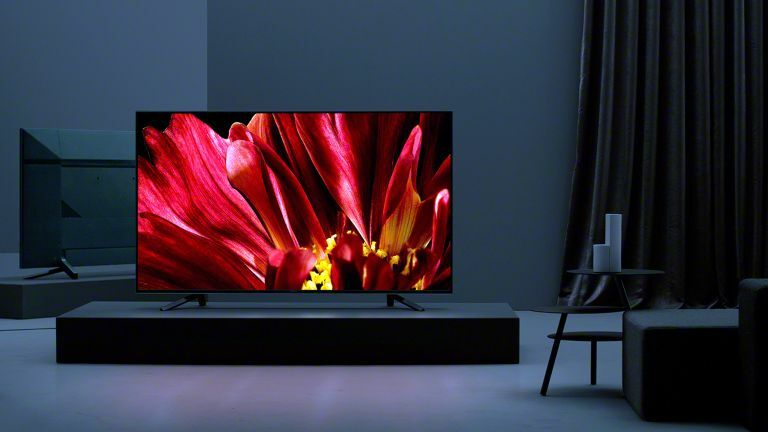 Sony has had a lot of success recently using a more 'affordable premium' approach, with the superb Sony AF8 OLED and Sony ZD9 LED. However, here, it's mainly taking on LG, which has done very nicely out of the more premium end of the telly market in recent years with the likes of the 'wallpaper' OLED W8, as well as the more obviously 'hay clarse' likes of Bang & Olufsen and Loewe. That's why, with suitable hyperbole, Sony hails the double unveil as nothing less than a milestone in the development of TV image quality. There’s at least some validity to the boast, as the sets are the first to be built around its X1 Ultimate image processor, previewed at CES earlier this year. The two models supersede the brand’s lauded A1 OLED and its venerable ZD9 LCD panels. Both models sport a unique Netflix Calibrated Mode, an image preset which can only be applied to Netflix streaming content. This is intended to mimic what producers see in the mastering suite. Emphasising a goal of “reflecting content creators' intent” (a similar mantra used by rival Panasonic), both new models stood close comparison with a Sony professional OLED mastering monitor, as used in top-end editing suites worldwide. The X1 Ultimate offers jaw-dropping levels of image detail and nuance, thanks to two new intelligent image processing modes: Object-based Super Resolution and Object-based HDR remaster. Both allow details within a picture – be it brickwork, skin tones or foliage, for example – to be enhanced individually, giving greater image depth. The AF9 OLED looks to be the standout screen of the pair. It adopts the same lean-back styling seen on the Sony A1, which I loved. It employs an uprated version of the brand’s Acoustic Surface audio system, which does away with conventional speakers by invisibly vibrating the screen. This new Acoustic Surface Audio+ system adds a centre channel actuator, for greater clarity, and a second subwoofer (making for a 3.2 sound system). Rather cutely, the screen can also effectively double as a centre channel, within a larger multichannel home cinema system. The ZF9 offers fewer innovations. Contrary to expectations, the TV doesn’t seem to offer the extreme brightness seen on Sony’s 10,000 nit CES prototype. Sony says that while the screen does have more luminosity than the ZD9, this extra brightness has been used to improve off-axis viewing. Certainly in side by side comparisons, the ZF9 holds colour and contrast from an angle better than its predecessor. Sony was keeping a lot of its tech specs close to its chest at the launch, but my initial impressions are that the ZF9 offers a class leading HDR performance. HDR support covers HDR10, HLG and Dolby Vision. Both new screens will launch with the new Android Oreo TV OS platform, and have Chromecast built-in. The AF9 will be available in 55- and 65-inch screen sizes, while the ZF9, following the same 'go large or go home' approach as the ZD9, will come in 65- and 75-inch models. Price and availability have yet to be announced, although we expect them to be expensive, and ship in the autumn.